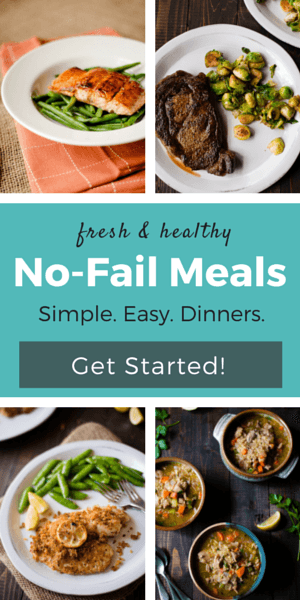 You are here: Home » Blog » Sauces » Sweet Potato Hummus | Vegan, GF and Paleo! Why stop at traditional hummus when you can try new hummus flavors? 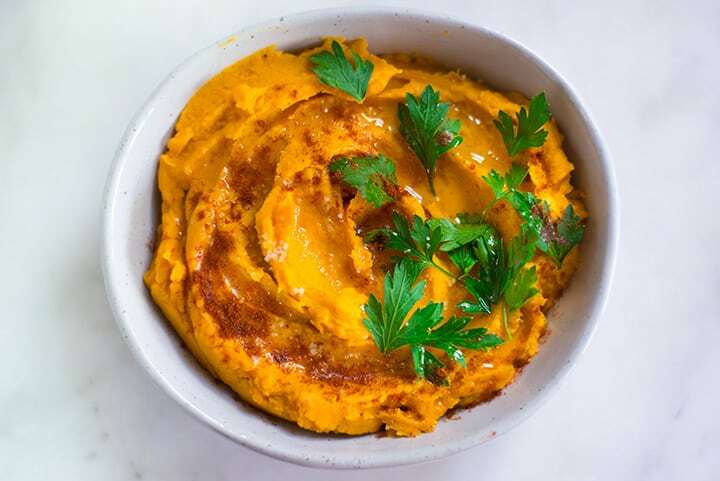 Start with this sweet potato hummus recipe that makes a delicious hummus in only 10 minutes. A Fall-themed hummus? Yes! Can I hear a hooray? Fall is officially here. This means it is time for cozy clothes and flavorful dishes. I love seasonal veggies and fruits. What are the most common and loved Fall fruits and veggies? Pumpkin, apples, carrots, cranberries, and sweet potatoes. I also love a good staple food I can enjoy year round. And that is why I love this sweet potato dip recipe. Sweet potatoes are such a delicious Fall staple. They are nutritious, and they have a unique flavor and the most iconic Fall color. Plus: Hummus is like the best dip ever. You see where I’m going with this? 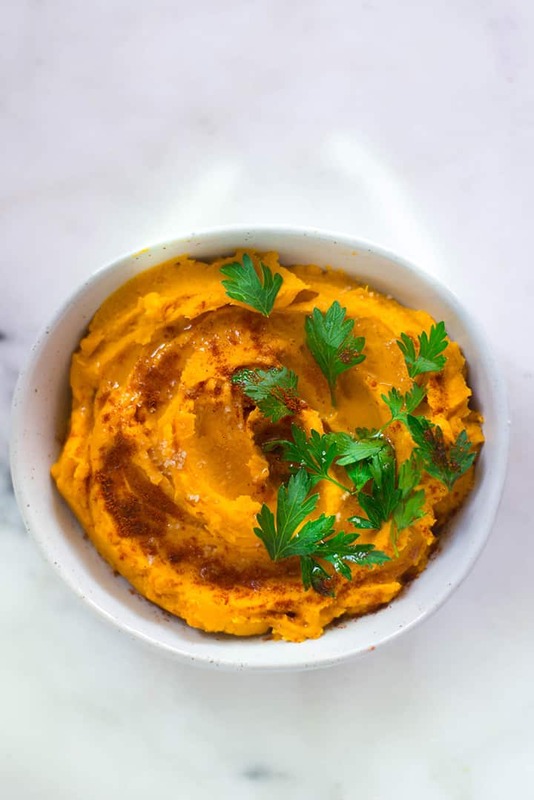 >>> Sweet potatoes hummus! Yay! And, hopefully, from now on, you will too. Because this sweet potato hummus is the perfect mix of flavors. 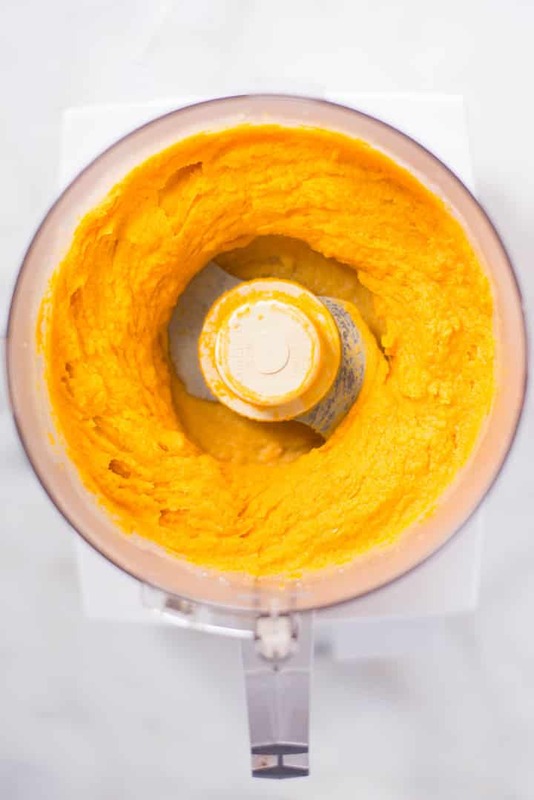 Think the trademark earthy flavor of hummus combined with the sweetness, color, and aroma of sweet potatoes. Also, keep in mind Fall is the perfect season to try new recipes with sweet potatoes. 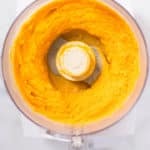 This sweet potato hummus is also one of the easiest sweet potato recipes you’ll try. And it makes a delicious vegan hummus. 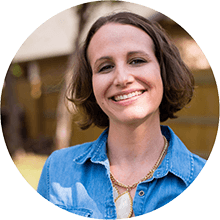 We all hear about potatoes and the debate over whether they’re healthy. Not sure if and why are sweet potatoes good for you? No worries, I’m here to tell you. Yep, here comes a list of benefits of sweet potatoes. What all this list means is that sweet potatoes are great for your digestive system, eye health, and your overall health. Plus, they make a killer paleo hummus. This sweet potato hummus requires cooked sweet potatoes. If you don’t know how to cook sweet potatoes, I recommend baking or roasting them. Follow these easy steps to get tasty cooked sweet potatoes. You have 2 basic options to bake a sweet potato, either in the oven or in the microwave. Personally, I prefer the roasted sweet potatoes. I just like their taste better. 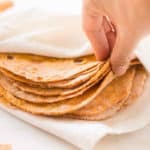 This vegan hummus is made with peeled sweet potatoes, but you could also leave the skin on which adds nutritional value to the hummus, like extra vitamins and fiber. Wondering what the heck tahini is? Quick, short answer – sesame seeds. The longer answer is – toasted sesame seeds mixed with olive oil and blended until smooth. blend until you get the desired consistency. start with 3 tablespoons of olive oil and add more if needed. Or until you reach the desired consistency. Don’t like chickpeas? No problem. This is the hummus-without-chickpeas of your dreams. I promise you’ll keep coming back for more! Wait… Are you thinking that chickpeas are the main ingredient of hummus? Technically, yes. You are correct. However, I decided to switch things up and use cooked sweet potato as a base in this recipe. So here you go! Hummus without chickpeas. And if you want another hummus without chickpeas, give the black bean hummus a try. I’m certain you’ll love that one, too. Storing hummus is totally possible but, before storing your hummus in the fridge, make sure you always place it in an air-tight container. I also like to drizzle a little bit of olive oil on top. In case you’re wondering why, well, olive oil keeps your hummus moist. Not only that, but it will also help protect it from any air it would otherwise have to contend with. You don’t need a lot of olive oil. Just drizzle a little bit on the top and your hummus won’t dry out in the fridge. That’s it. Now you can store hummus for up to 1 week. 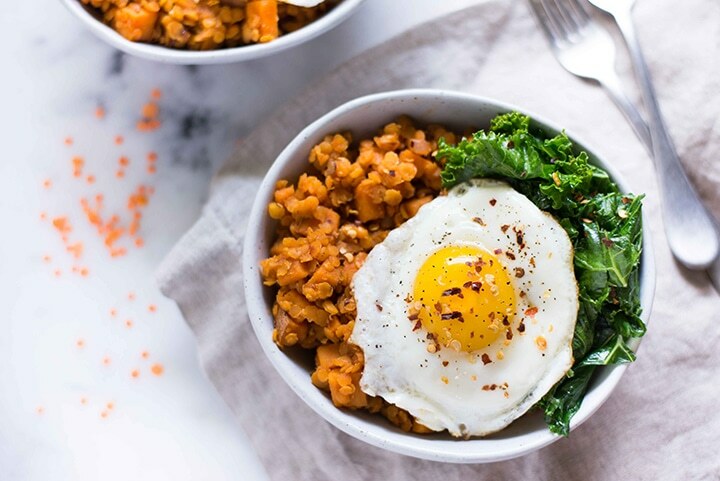 First on the list of sweet potato recipes is this Sweet Potato and Lentil Hash with Garlic Sauteed Kale recipe. 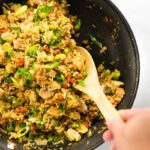 It makes a great dinner side dish that is high in protein, high in flavor, and super, extra healthy. 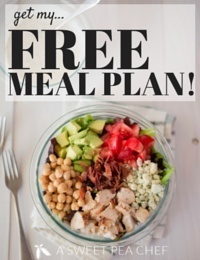 Did I mention this is a budget-friendly healthy recipe? I guess I just did! 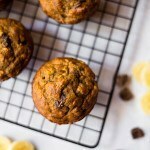 Make sure you make it as often as you want during Fall. Get the recipe. Flavorful, tender, soft, dense, sweet, yummy. 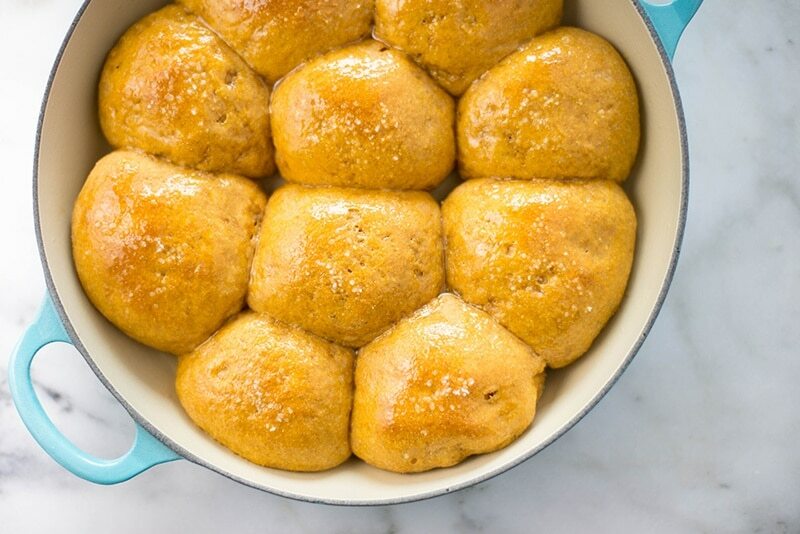 This is how I’d describe these Sweet Potato Rolls. 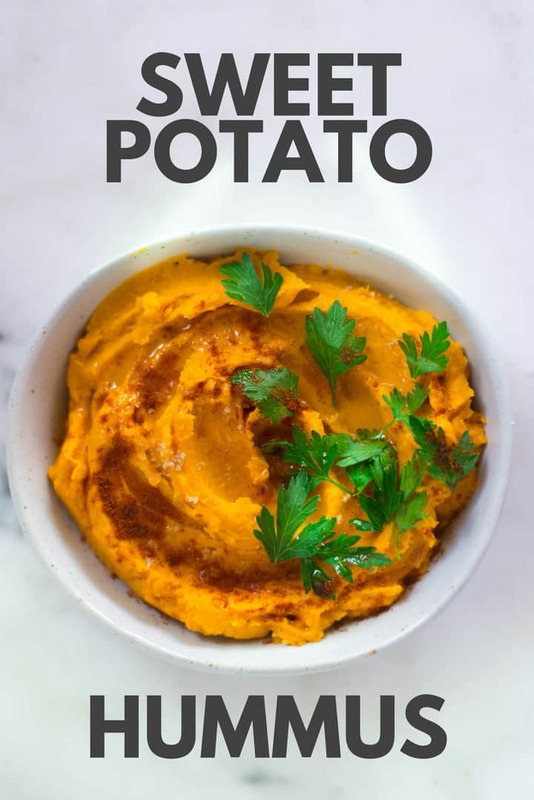 This sweet potato recipe is one of those sweet potato recipes that makes something that’s good to enjoy all day long. I’m a huge fan of eating these rolls for breakfast though. Get the recipe. 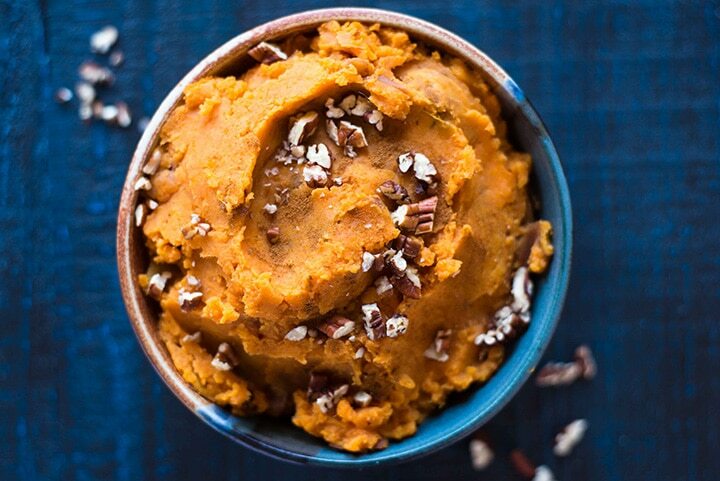 Only 3 ingredients needed to make this Mashed Sweet Potatoes recipe. 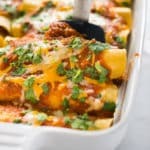 The taste? Sweet potatoes heaven. This Mashed Sweet Potatoes recipe is refined-sugar free, vegan, and the perfect Fall treat for cozy nights in. Get the recipe. No chickpeas? No problem! Switch it up and use cooked sweet potato as a base for this Sweet Potato Hummus dip. I promise you’ll keep coming back for more! 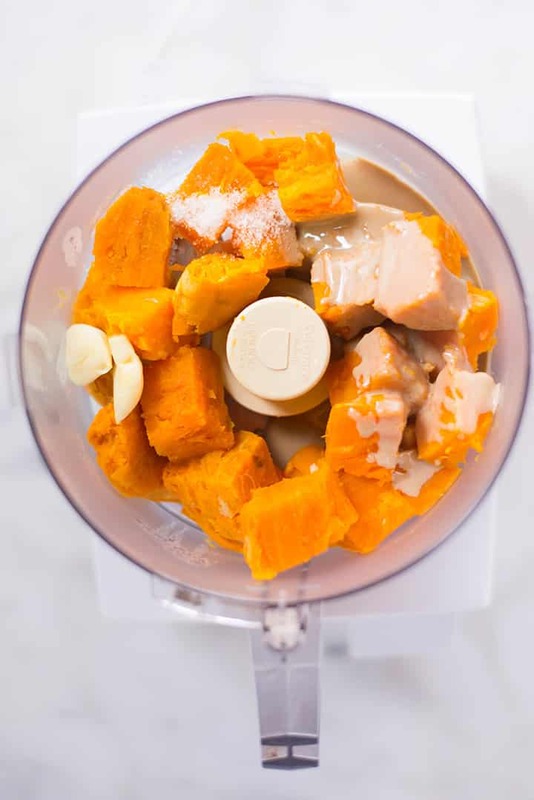 Add all the ingredients (minus the garnish) to a food processor. To serve, top it with some fresh parsley, paprika, and a little sea salt. I love a little drizzle of olive oil over my hummus as well - it adds to the flavor and texture. 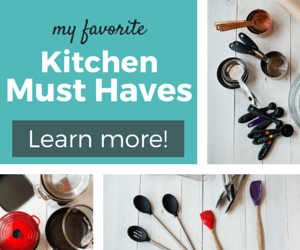 This post contains affiliate links for products I highly recommend and use frequently. 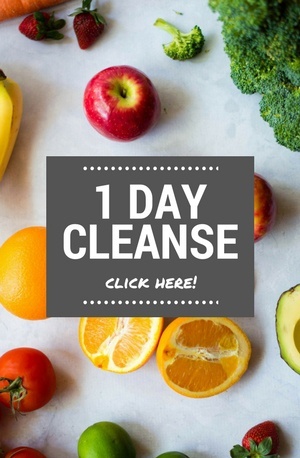 For those doing WW, for a 2 tablespoon serving it’s 4 points.